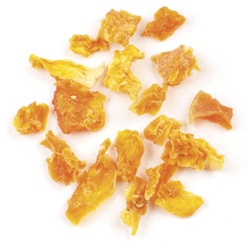 Dehydrated Vegetables | Spices Etc. 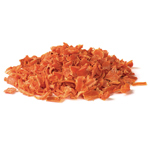 Our best selling dehydrated vegetables are the perfect products to help save you time and money! They rehydrate quickly, cook quickly, they are less expensive than canned vegetables, and they are easy to store. Best of all, they maintain more nutritive value than canned vegetables. 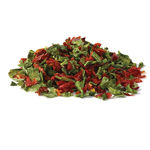 Dried vegetables are a convenient way to add color and flavor to a variety of foods. Easily rehydrated in warm water, these products are nice to have around when you need a veggie but not the hassle of storing and preparing the fresh version. Carrot dices are great in soups and stews. Adds color and texture to sandwich fillings, vegetable dips, etc. 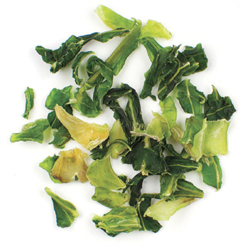 Celery Flakes are a flavorful dehydrated spice that is excellent for soups and a variety of foods. 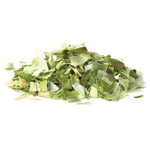 Celery Flakes are easily rehydrated in warm water, these celery flakes are nice to have around when you need a veggie but not the hassle of storing and preparing the fresh version. 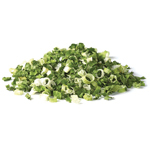 Add Celery Flakes to soups and stews, to salads and to sandwich fillings. 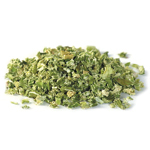 Celery flakes may be used with or without rehydrating. 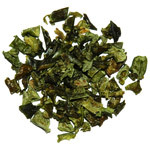 Dried Chives and vegetables are a convenient way to add color and flavor to a variety of foods. Easily rehydrated in warm water, these products are nice to have around when you need a veggie but not the hassle of storing and preparing the fresh version. Use dried chives as a garnish for baked potatoes, sauces and soups. 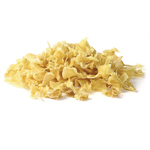 The flavor of dried chives goes particularly well with eggs and are popular in omelets. 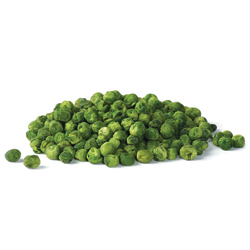 Green peas are wonderful to rehydrate and add to soups or just to have when preparing a vegetable plate. Guaranteed to please your taste buds! Green Onion Rounds. Beautiful green slices of young onion shoots. Green Onion Rounds they can be used in much the same way as chives, but have a stronger, more aggressive flavor. Green Onion Rounds are great as a garnish, in salads, on baked potatoes or to add substance and flavor to soups. Horseradish Powder is very pungent with a sharp, biting flavor that tends to fade with age or when cooked or added to hot dishes. Horseradish is a thick, brown root that is grated and used fresh or prepared. 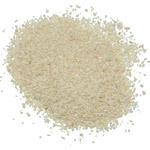 Horseradish powder is a versatile seasoning that can be used in a variety of ways. Horseradish Powder is especially good sprinkled on beef, added to mayonnaise or mustard, or to flavor ham and sausage dishes. 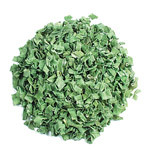 Kale Flakes are trimmed, chopped, and dried which imparts a fresh green color, with a crisp texture. 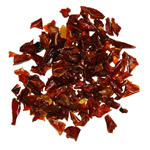 It is ready to use in soups, sauces or any recipe needing a nutritional boost. 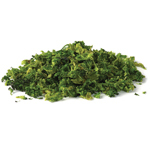 Kale is high in beta carotene, vitamin K, vitamin C and rich in calcium. Kale has increased in popularity across the US for its nutritional values! 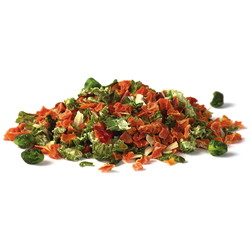 Dried vegetables are a convenient way to add color and flavor to a variety of foods. Easily rehydrated in warm water, these products are nice to have around when you need a veggie but not the hassle of storing and preparing the fresh version. 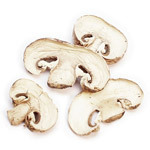 Mushroom slices rehydrate quickly for use in soups and for stir frying. Mushroom powder is a simple way to add great flavor to creamy soups and sauces. Great as a quick addition to pasta and pizza sauce.